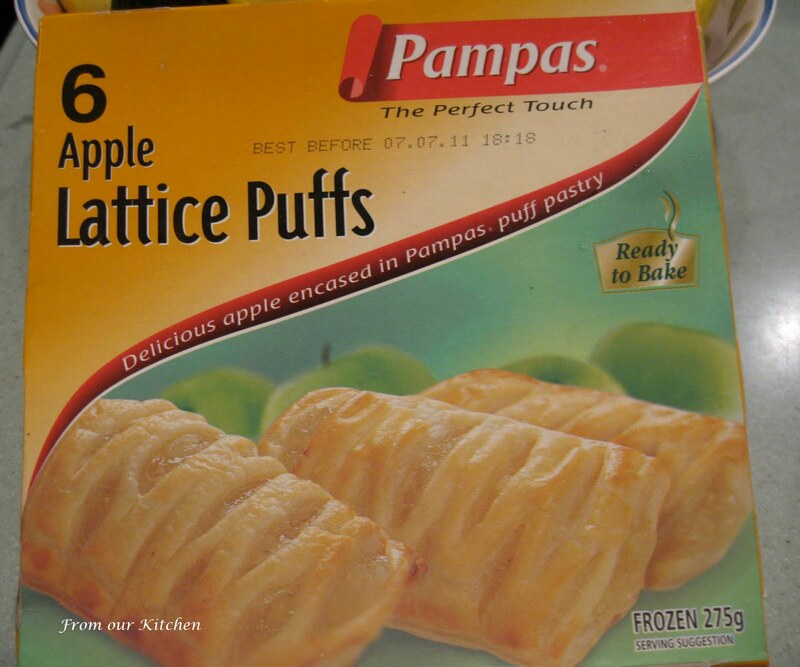 I bought these frozen apple lattice puffs from the supermarket the other day. They are tasty, not too sweet and easy to put together dessert. 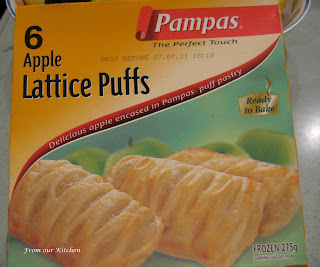 u know, i have been waiting all my life to get this Pampas frozen pastry here. until recently i just discover that we now have local made frozen pastry too, by Kawan brand! Chin Nee: we have the Kawan brand rotis here, no frozen pastry. 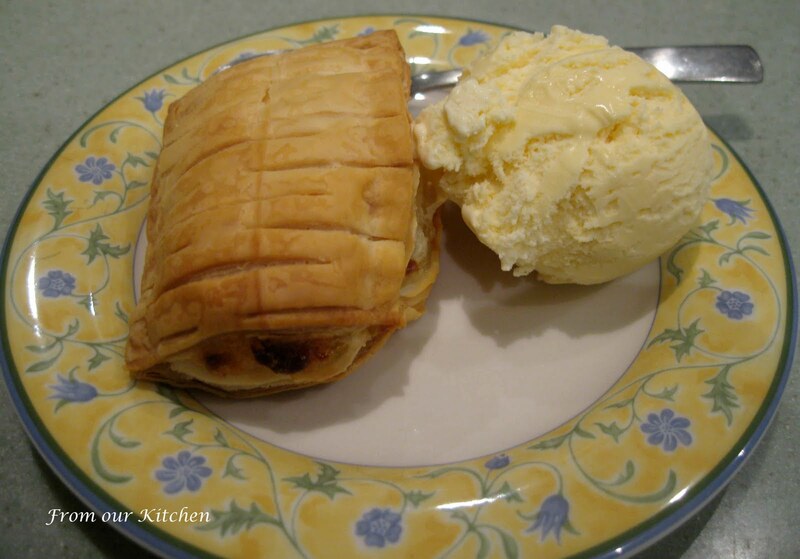 Frozen pastry is so easy to make pies, sausage rolls and curry puffs.